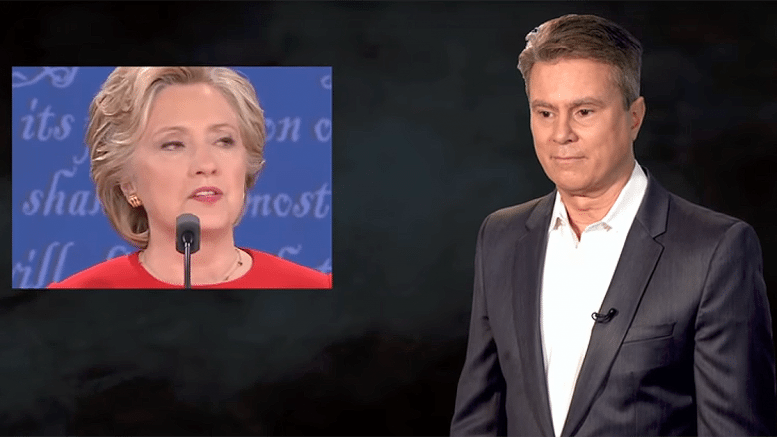 Bill Whittle debates Hillary Clinton, leading off with her statement from the first presidential debates with Donald Trump that she has put forward a plan to defeat ISIS. She could have more accurately phrased it as a plan to fix the mess she’s made, as her ideas for dealing with the Middle East in virtually any regard ultimately is. 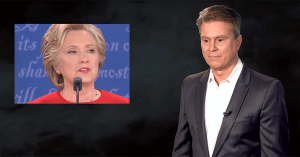 She said, “Our military is assisting in Iraq and we’re hoping within the year to be able to push ISIS out of Iraq and then really squeeze them in Syria.” Whittle responds, “Hillary, while you continue to hope to squeeze them in Syria, ISIS is busy murdering people in Paris and Brussels and Orlando and San Bernardino. And almost every week because of you innocent people are dying. He can’t help pointing out the toy she gave the Russian Foreign Minister, Sergey Lavrov, a reset button on which they translated the word “reset” incorrectly. It’s just another embarrassing failure from the regime that has made that their legacy. He points out that if Clinton is given the chance, “the same catastrophes would start to occur right here at home.